There are many reasons why working out with a personal trainer can benefit you. If you’ve been exercising for weeks or months and you haven’t seen any results or maybe you don’t know where to start. 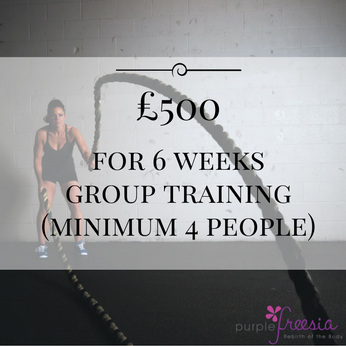 Someone like Lynne, from Purple Freesia, with her fitness experience and knowledge can help you set goals realistic to you and hold you accountable for your workouts and keep you motivated to exercise. Maybe you want to lose weight, gain muscle, change your body shape, decrease stress levels or just generally get fitter. Lynne brings out the best in her clients, and takes a very open approach with everyone she works with. She tailors her training regimes to meet all individual needs, and to achieve those desired goals.